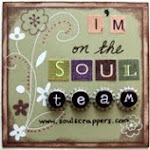 Here is my card that I made using the new Stampin Up Sweet Shop stickers. They are cute and easy to make a card in just a few minutes. 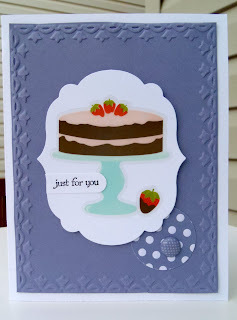 Supplies used: whisper white, wisteria wonder, Sweet Shop dsp and Sweet Shop designer stickers, labels framelits, circle punch, incolor brad, & framed tulips embossing folder.